Team Saffron are always keen to develop their staff and ensure every member is working to the best of their abilities, utilising their key skills. When our Operations Manager Sarah Briggs approached us to say she was interested in undertaking a degree in Business Management, of course we were happy to support her. Sarah joined Saffron approximately 18 months ago and has settled well into the role of Operations Manager over this period. Sarah worked hard last summer to shadow our Event Managers and work with the Kitchen Team to ensure a full understanding of each of the roles, which in turn would influence her role which she has now firmly stamped as her own. 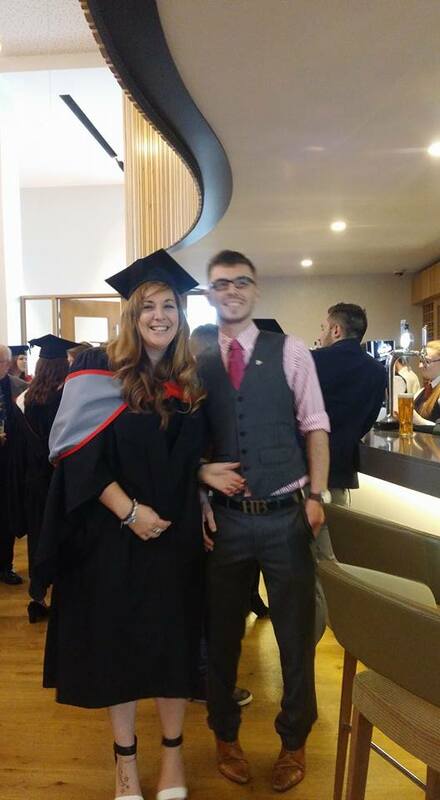 Having previously undertaken an ILM Level 5 course in Leadership and Management, Sarah felt the next step was the degree and Business Management which was an Honours Degree condensed from a 2 year course into 1 year, was chosen. Our management team agreed this would be a great asset to both Sarah and the business, drawing on skills and learning along the way. The degree covered all aspects of business including setting up overseas, different cultures, management understanding and skills, team building and expansion etc. Sarah felt it important to learn how the fundamentals of business can increase growth and in our field of catering, this was particular important. We cover the Midlands currently but always have plans to expand further afield and the understanding of how we can make this work is key. Sarah will be the first to admit it wasn’t easy and over the last 12 months she has spent a lot of time doing research, reading and attending a weekly lecture. This is all in-between a full-time role which is not an easy position and is very demanding on time. With a lot of late nights, early starts and of course the support from Saffron, Sarah completed the course and graduated last month. One of the key lessons Sarah took from the course is the difference between being a manager and a leader. Having been in her position for 18 months, Sarah now sees that the role she plays is essential and our bank of staff will benefit greatly from following a leader rather than a manager. We will now continue to build on this with Sarah and ensure everything learnt is now put into practice. It has not been an easy ride, but we are extremely proud of Sarah for putting in the time, the effort and for following our belief that hard work really does pay off!